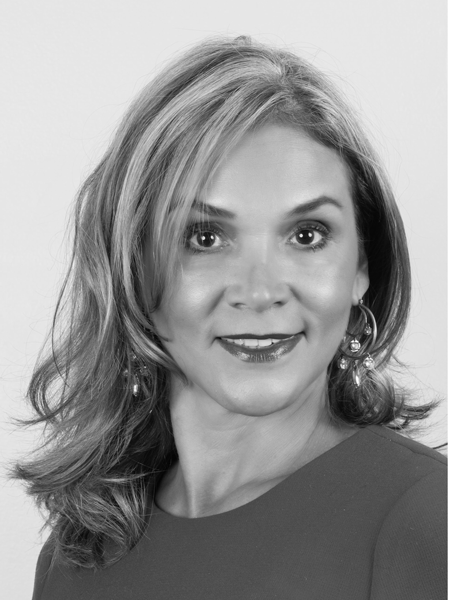 Carolina Pena is part of Fortune International Realty, which received Internal Awards and many times the International Property Awards. Carolina is passionate and dedicated to fulfilling her client’s interests. She has longstanding relationships and has represented a wide range or respected community members and celebrities. Carolina is an expert in selling condominiums real estate, and has garnered the reputation as one of South Florida’s leading residential realtors. A business woman, with a solid track record in the area of ​​Real Estate, Carolina Peña is the right real estate agent to make an investment in Miami, Florida. Carolina Peña is part of the Fortune International Realty team, outstanding advisers for their work and always willing to close the best businesses in order to guarantee the client maximum satisfaction during the process of buying and selling real estate. Carolina Pena, outstanding residential real estate agent in South Florida. 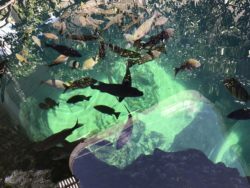 Due to her responsibility and commitment, Carolina Peña has had excellent business relationships with artists and influential people from the United States of America. She has become a woman of trust and has been able to maintain lasting contact with people who require her advice. For her achievements in the area of ​​Real Estate, she has gained a solid reputation as the most outstanding residential real estate agent in South Florida. Currently, Carolina Peña has the mission to offer families the best possible home, right in the financial heart of Florida. He has under her responsibility a series of properties in condominiums such as Jade at Brickell, Paraiso Bay, Icon Brickell among others. Surely, Carolina Peña can guide you throughout the process of acquiring a property in Miami. see https://brickellmiami.co/guide-buyers-miami/. Winner of different awards for goals achieved, Carolina Peña continues to stand out and conquering spaces in residential real estate businesses, consulting with her is channeling her negotiation with total certainty and security of success. 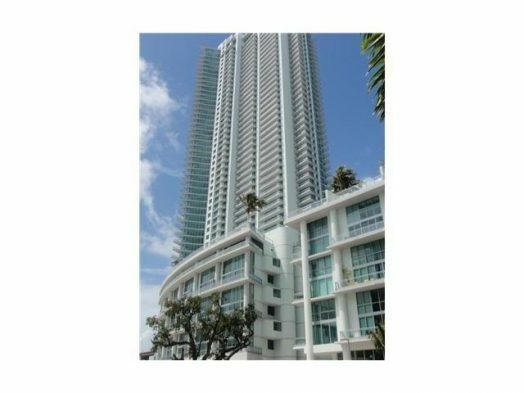 BEST DEAL IN BRICKELL Brand new condo for sale located in Brickell heights east just in front of the Brickell city center entrance. this new construction offers DIRECT VIEWS OVERLOOKING BAY, BRICKELL SKYLINE AND MARY BRICKELL VILLAGE. The apartment for sale is facing east with a unobstructed view on Miami intercoastal and Miami harbour. The residence has Two swimming Pool, one of the roof top and 44th floor. The equinox Brickell Heights, a complementary training center, is the area’s leading health and wellness destination. A blend of state-of-the-art technology. Brickell Heights Condo is located in the heart of Brickell Miami. Featuring a distinctive Miami architecture, beautifully finished condos, assigned parking and great location. Within close distance to the heart of Miami known for its fine dining and shops. With its cozy and serene surroundings, Brickell Heights makes you feel at home. Brickell Heights is built more like a boutique condominium tower with only 358 total units. Brickell Heights Condo has a selection of units that puts creativity and choice. Brickell Heights project consist of two luxury condo towers with 47 and 49 stories each, a total of 690 exclusive residences and the upscale Equinox Fitness. Along with 85,000 sq. ft. of retail spaces and a parking garage. 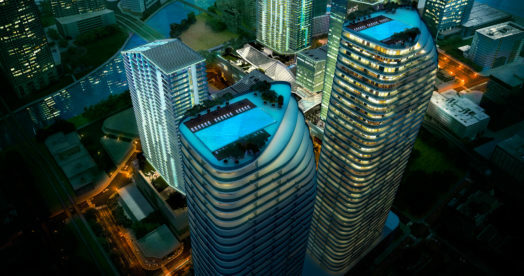 Brickell Real Estate is becoming the most sought after destination. Brickell Heights is two condo buildings, The East Tower consist of 48 stories with 358 luxury units, 549 ft in (architectural) Height and the West Tower consist of 49 stories with 358 luxury units and 529 ft in (architectural) Height. The Brickell Heights floor plans is available with one, two and three bedroom units and will range in size from 676 to 1,276 sq ft + custom units and penthouses. The completion time was July 2017. These Brickell Heights condos residential towers is developed by the well-known Related Group and designed by Arquitectonica. In addition to the available luxury condos, Brickell Heights consist of 85,000 square feet of retail space and parking garage. Brickell Heights offers all the convenience and excitement of the Brickell neighborhood, offering residents being right at the center of Brickell Miami. Downtown Miami is just across the Miami River to the north of Brickell Heights. Rising directly from the shores of Biscayne Bay in the wonderful emerging neighborhood of East Edgewater, Elysee Miami sets a new standard for refined luxury with its masterful confluence of design, luxury and waterfront location. 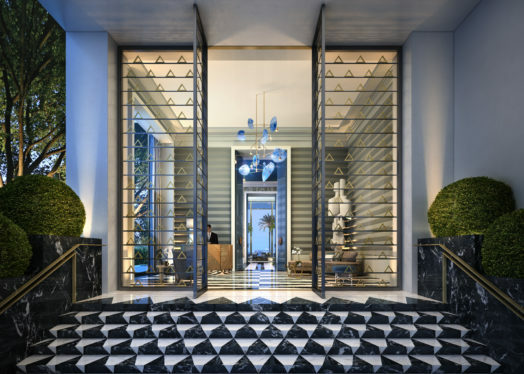 At 57 stories, Elysee is tall and impressive, but with only 100 residences — no more than two per floor – Elysee maintains the intimacy and sophistication of living in a boutique-style building. 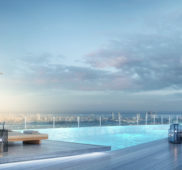 In addition, Each residence has the unique distinction of having an unobstructed, breathtaking view of Biscayne Bay. World-renowned architect Bernardo Fort-Brescia, of Arquitectonica, has designed Elysee to be instantly recognizable yet discreet. Of course, this is not an ordinary residential tower. From its three-tiered telescoping shape and alluringly light tones to the fine materials used to construct it, Elysee is an exquisite tribute to the power of design to lift the soul. 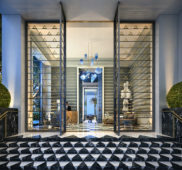 Inside, France’s top interior designer, Jean- Louis Deniot, introduces his rich signature style. At once timeless, elegant and entirely fresh, Deniot’s vision brings a new level of fine living to Miami. This is living the way it is supposed to be, realizing what life really has to offer – and getting it. A rare place, not so easy to access and very special once you’re in. For the lucky few, the experience of living at Elysee Miami starts at the waterfront and goes on to provide the world’s finest lifestyle. Elysee Miami’s abundant suite of amenities and services far exceeds all expectations. In this perspective, Residents will have the best of two worlds: the intimate sophistication of a boutique building and the expansive and unique amenities normally found only in much larger condominiums. Residents experience a seamless transition between their home and a very long list of usable, thoughtful, luxurious amenities. BACK ON THE MARKET! 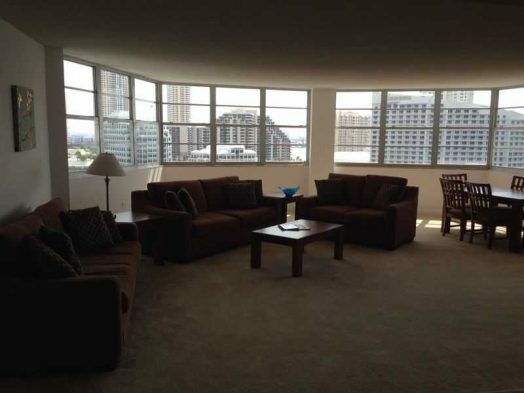 BEST PRICED (O3 LINE) ON 33RD FLOOR! 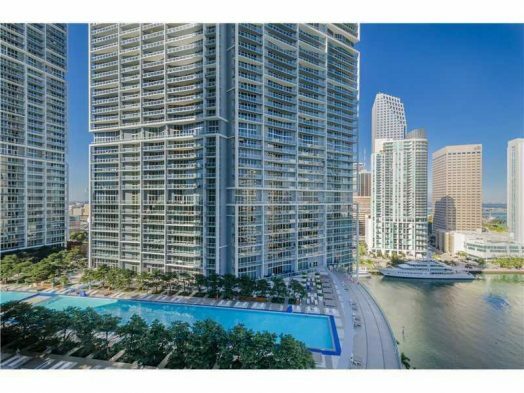 Immaculate 2 bedroom/ 2 full bath plus den/office space in the hottest building in Brickell…Icon Brickell! A must see! White porcelan tile throughout. 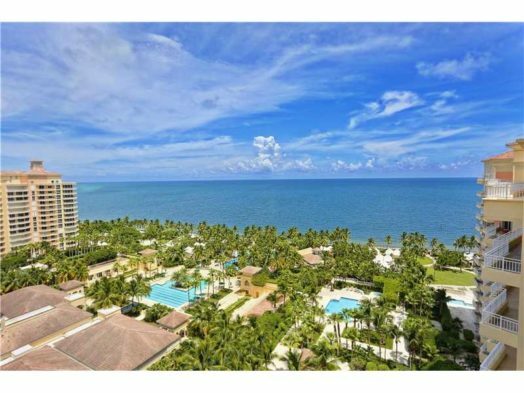 Direct ocean views from every room in th e unit and expansive balcony. 5 Star Ammenities!! Live at the best address in the booming Brickell area! Perfect family home. Exclusive layout, developer conceived, double unit floor plan, with 4/4. Current owner raised ceilings giving the living room an amazing feel. Completely redone with exquisite taste. Property offers large balcony to enjoy ocean views , open kitchen/stainless steel appliances, breakfast/bar counter space, spacious bedrooms with plenty of closet space, striking hardwood floors combined with gorgeous marble floors, 3 parking spaces assigned. Steps from beach and pool. SOARING 10’HIGH CEILINGS. OPEN FLOOR PLAN IN A HIGH FLOOR WITH SPECTACULAR WATER AND CITY VIEWS, MARBLE FLOORS, CHEF’S STYLE KITCHEN, LARGE BALCONY AREA. ONLY FEW OF THE LUXURIOUS ELEMENTS OF THIS RESIDENCE-LEASED – 48 HRS NOTICE. Condo for sale. One of a kind completely renovated “08” line 5,207 Sq. Ft. Direct oceanfront apartment. This impeccable unit features open living, dining and family room. Large master suite with private ocean balcony with an outdoor Asian Pergola hot tub. Elegant and sop histicated this residence has it ALL! View of the Ocean, South Beach and Downtown Skyline. 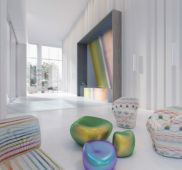 Monad Terrace is French architect Jean Nouvel‘s first residential project in Florida. The building raises over 11 feet above the sea level holding 14 stories. It will be located around a stunning glittering lagoon in the city’s South Beach, which is home to a swathe of Art Deco buildings, elite shopping and entertainment and sparkling white-sand beaches. 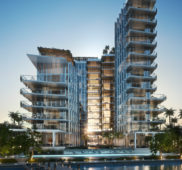 Jean Nouvel will include 59 waterfront residences are spilt between two buildings arranged around an outdoor space overlooking Biscayne Bay and they perfectly capture the play of daylight and water throughout. Residents will have access to amenities like a 116-foot (35-meter) swimming pool and hot tub overlooking Biscayne Bay, a cafe and juice bar, and storage for bicycles and water sports equipment. 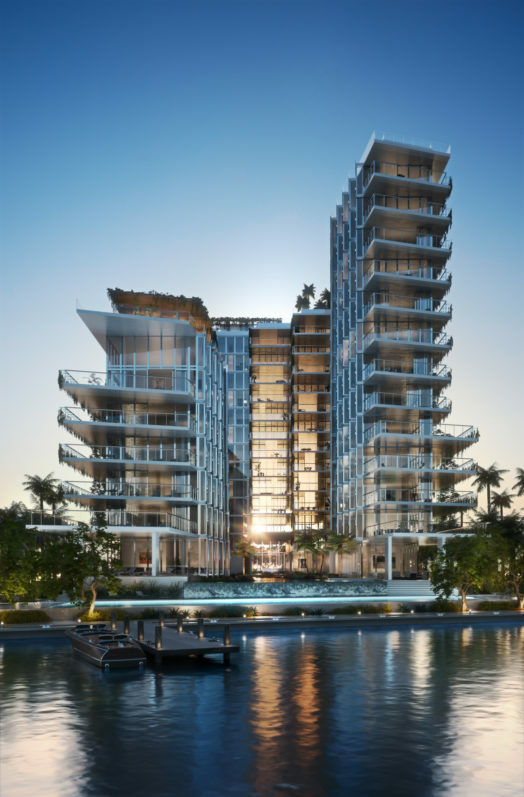 Bayfront monad Terrace marks Pritzker Prize-winning architect Jean Nouvel’s debut in South Florida. Miami’s Monad Terrace from architect Jean Nouvel marries water, light and spare geometry to create a home bathed in tranquility. Monad Terrace will be located at the neighborhood of South Beach Bay, minutes from the organic beauty and cultural attractions of Miami Beach. The bay side of South Beach provides a relaxed and tranquil setting that other neighborhoods envy—a thoughtful pedestrian-friendly community offering an eminently civilized, healthy way of life. An eclectic mix of shops, restaurants, wellness boutiques, and recreational activities are within minutes of Monad Terrace. Each residence at Monad Terrace is designed for seamless indoor-outdoor living, with broad and deep terraces going far beyond the conventional balcony to almost double the living space of many residences. Whether used for dining al fresco, sunbathing, or easy access to multiple interior rooms, the terraces’ spectacular views of the bay and/or South Beach make them a perfect outdoor oasis. New York developer Michael Stern is making his first entry into Miami Beach. Stern’s JDS Development is officially launching sales for Monad Terrace, a 59-unit luxury condo building designed by Pritzker Prize winning architect Jean Nouvel. It’s slated to be delivered in two years. 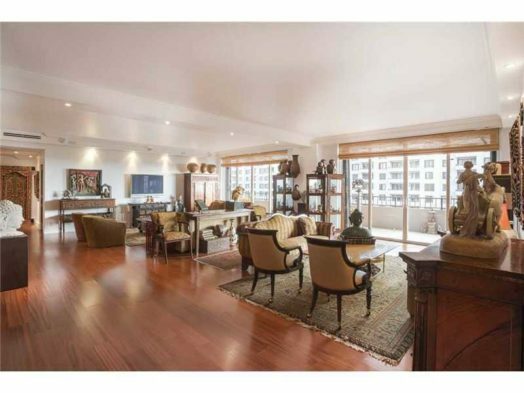 GORGEOUS 2/2 UNIT IN THE HEART OF DOWNTOWN MIAMI. 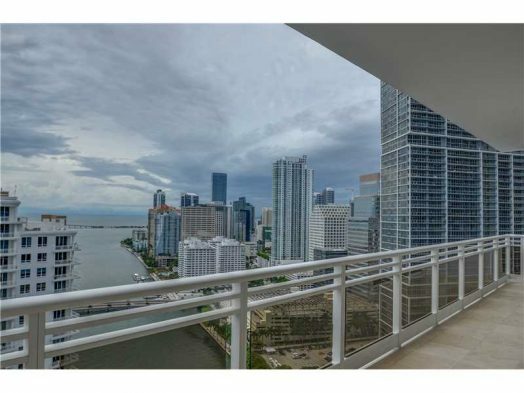 CERAMIC FLOORS THROUGHOUT, STAINLESS STEEL APPLIANCES, GRANITE COUNTER TOPS, ITALIAN KITCHEN, AMAZING VIEWS OF CITY AND MIAMI RIVER. 5 STAR AMENITIES INCLUDING; FITNESS CENTER, BAR, POOL, BUSINESS CENTER, ACTIVE ROOM, 24 HOUR CONCIERGE, VALET AND MUCH MORE. AMAZING NEW MODERN BUILDING CLOSE TO DINING, SHOPPING, MINUTES FROM BEACH, AIRPORT AND FINANCIAL DISTRICT. GREAT INVESTMENT OPPORTUNITY! PRICE IS FIRM! NO NEGOTIATIONS.